Last spring, we posted about data publishing requirements from Elsevier, Springer/Nature, and AAAS. 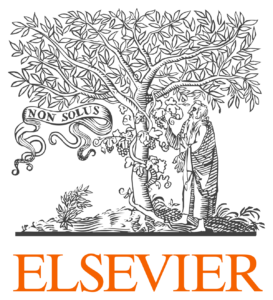 At the time, Elsevier was the most lenient on their data publishing policies and used language that was suggestive and encouraging of data publishing. As of September 5th, 2017, that is no longer the case. Elsevier has signed on to the Transparency and Openness Guidelines (TOP) through the Center for Open Science. We talk and write a lot about transparency, openness, and sharing in science; however, there is a disconnect between the conversations and the daily workflows and practice of scientists. I was once told, after giving a workshop on data sharing, that I was an idealist trying to preach to realists. In order to close that gap, we need more publishers, like Elsevier, to make the ideal a reality, and enforce strict guidelines on data sharing and publishing. If you can’t do this, be prepared to explain why! The new Elsevier policy is similar in nature to Springer/Nature with their tiered system of requirements. It’s important to check with your individual journal to see which option it falls under. Ideally, you will always follow option E, where you make your data openly available, cited, linked, and provide the proper amount of metadata to go through the peer review process or be reused by another researcher. If you have any questions about how to enrich the metadata of your dataset, or where to deposit your research data, please email researchdata@berkeley.edu!